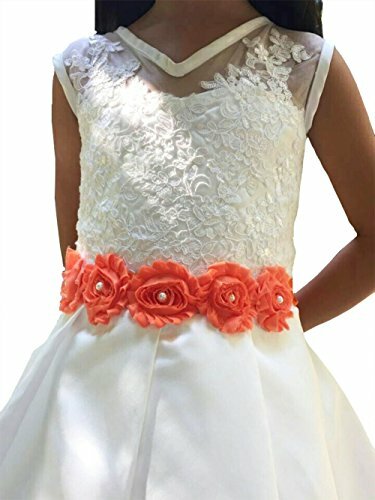 This handmade children's sash is made up of five vintage chiffon flowers and pearls decoration in middle. These girl's belts are applied for different ages ranges to attend pageant and party. These girl's sash is handmade by myself, if you have any questions ,please contact me,thanks! This sash is handmade by using five flowers with one pearl in middle,it is perfect for flowergirl to attach on dress.